Hyatt Hotels Corporation is a hospitality company that manages 777 luxury hotels, resorts, and vacation properties in 54 countries around the world. Since its founding over 60 years ago, Hyatt has become one of the world’s largest hotel companies. Through its growth, the company has maintained an award-winning company culture. Hyatt regularly earns accolades for being a great place to work, most recently landing on Fortune’s 100 Best Companies to Work For in 2017 and America’s Best Employers in 2018. 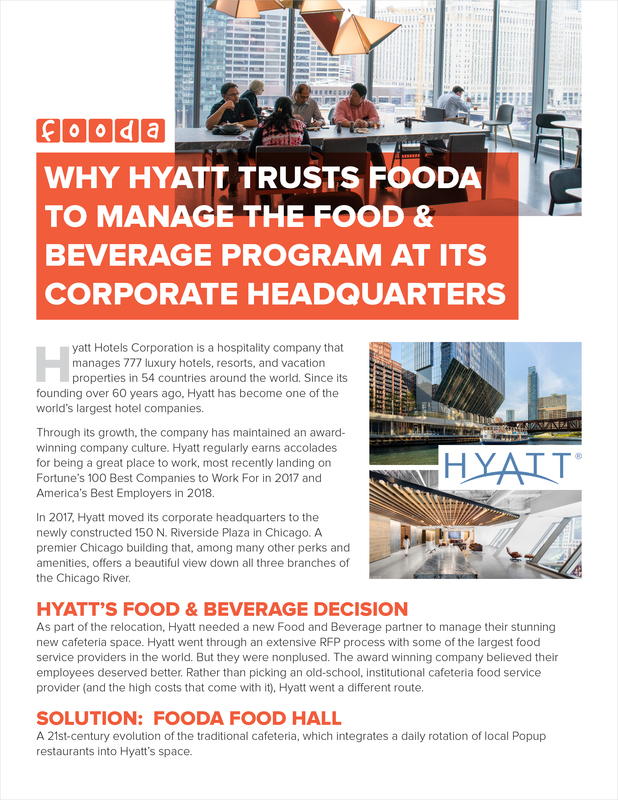 In 2017, Hyatt moved its corporate headquarters to the newly constructed 150 N. Riverside Plaza in Chicago. A premier Chicago building that, among many other perks and amenities, offers a beautiful view down all three branches of the Chicago River.